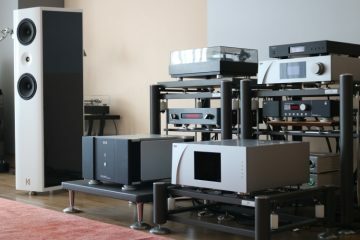 Ohm Audio in Groningen, the Netherlands is an audio store that stands out for having a non-typical assortment of equipment. Run by Derk Broos and his son Luuk, their inventory consists of new equipment as well as an ever-changing collection of occasions, rangings from Magico, Magnepan, Antipodes and lots of others to a brand that is still relatively unknown: Bricasti. Bricasti’s co-founders Casey Dowdell and Brian Zolner both worked at Lexicon before Harman International ended these operations. 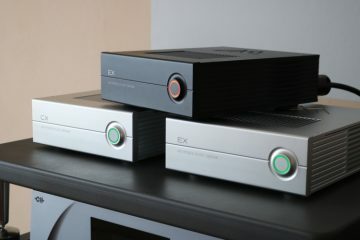 Although the design is done in-house, some of the hardware engineering is contracted to AeVee Labs, a company founded by Bob Gorry, who used to be Chief Engineer at Madrigal Audio Labs. 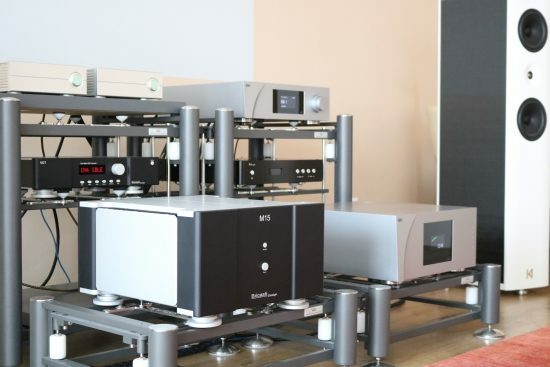 This goes some way toward explaining the visual similarity to Mark Levinson products and their Arlon circuit boards, which used to be exclusive to Mark Levinson “S” products. 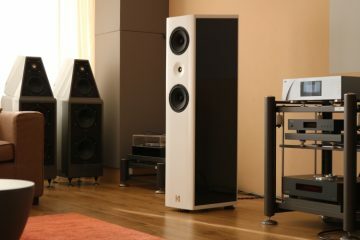 Similarities aside, the M21 and M15 technology and implementation are quite different from the Levinson classics and they are very much unique and modern products. 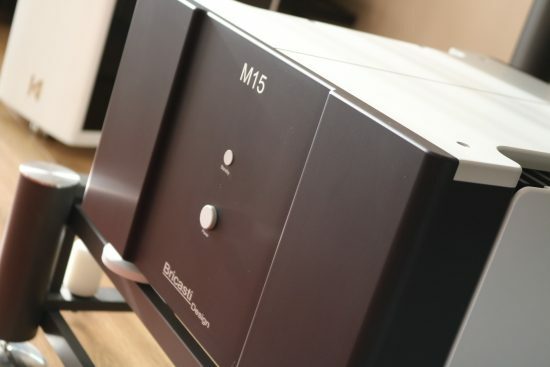 The first Bricasti product that I reviewed was the M1 Classic, a highly capable DAC that replaced my Wadia 521 at the time. The two DACs have very different characters but what made me switch was that the M1 was more transparent and refined, had higher resolution and offered USB and DSD decoding, which the old-school Wadia, of course, did not. The M21 adds an analog preamp section and promises to further advance the M1’s already stellar performance. 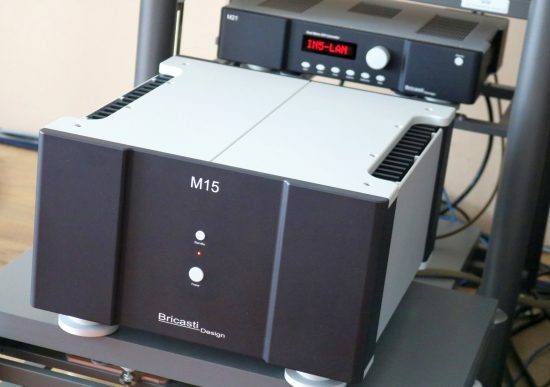 Outside of Derk’s showroom, I’ve not yet heard a Bricasti power amplifier but I have to say that the M15 certainly looks the business. The M21 has two completely isolated fully differential channels, each with its own dedicated linear power supply, DA converter, clocking, and analog level control circuitry. 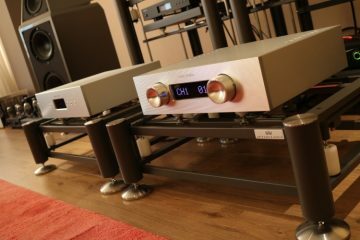 With the twin DAC design, the dynamic range for each channel is optimized by using the stereo ADI 1955 PCM/DSD DA converter in a mono configuration, or an optional Ladder DAC for PCM conversion. Clocking for each channel is done directly at each DAC with a technique called DDS (direct digital synthesis) which is said to take clock-induced jitter to immeasurable levels, and DSD is converted with a proprietary one-bit analog converter. Network connectivity includes an electrically isolated synchronous USB 2 interface and an RJ 45 Ethernet connector for using the M21 as a DNLA compatible network player/renderer/streamer. Finally, the M21 is Roon Ready, meaning that it will work as a Roon endpoint. 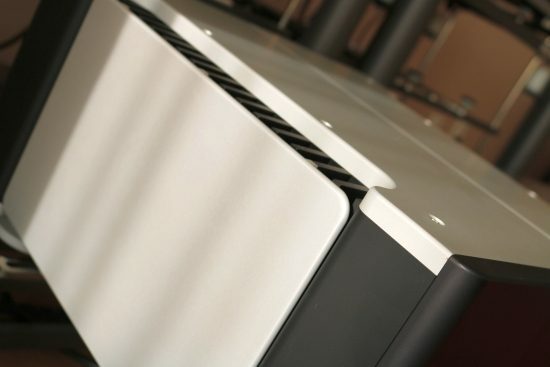 The M15 stereo power amplifier is based on the M28 monoblocks, offering extremely low distortion with moderate power and a truly balanced topology. With 125W into 8 ohms, 250W into 4 ohms, and 500W into 2 ohms, the amp promises to be highly stable into any load. 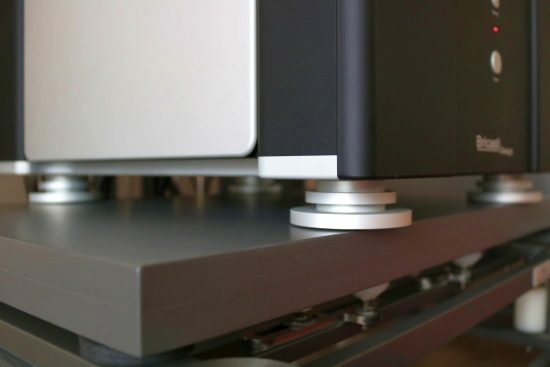 To get the best grip on these two components’ individual performance, I will first assess them separately in combination with the resident CH Precision C1 and A1.5 components and then together as a system. Speakers, in all cases are the Kroma Audio Carmen, topped off with a small dose of Magico Q5 at an audio buddy’s place as an addendum. Prior to delivery, Derk has run in the components for me in his showroom in Groningen for almost 2 weeks. After delivery, I gave them a couple more days to fully acclimatize. Once the listening started, I can’t say that I heard any changes in their character over the course of the review. No uncertainty about the model on the amp itself, either. That ridiculously large font really is the only thing I do not like about this amp’s looks. As a side note, the A1.5’s sound can be adjusted using its feedback control. I find that the A1.5 most resembles the M15 in terms of bass performance and midrange fluidity when it is set to 0%, meaning zero global feedback. Normally, though, I prefer the A1.5 with this setting at 10% and so that is what I refer to in the context of this review. 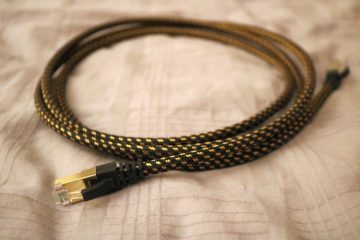 To start off, the CH Precision C1 DAC/Controller is powered by a Belden 19364 cable with Oyaide 079 connector (same type as used on the A1.5), connected to the M15 with Final Touch Audio Ganymede XLR interlinks and initially set up on the Artesania Aire platform that bypasses the M15’s integral feet. The M15’s most striking quality has to be its combination of transparency and seductive midrange richness. It has a kind of delivery that is very easy to relax to. Coming from the very neutral and super-articulate CH Precision A1.5, the M15 sure has a smoother and more full-bodied presentation. Especially the midrange has a highly organic delivery and an immediately lyrical quality. But the bass is also different, fuller, and rounder. Even if the M15 is very fluid and decidedly non-edgy, it is not quite as airy, as super-articulate, or as expressive as the CH Precision A1.5. That’s a kind of basic trade-off in audio in my experience anyway: you want a smooth, full, and relaxing midrange? Inevitably, the bass will be a little bit smoother as well. Vice versa, if you want the tightest and most articulate bass, then the entire presentation also becomes cooler and cleaner, and this is also the case with the A1.5. This is not necessarily an absolute quality, much more it is a personal choice. 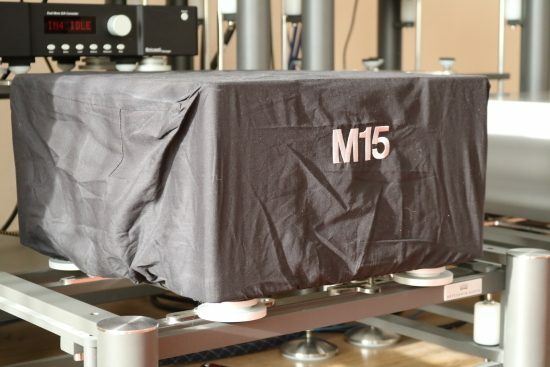 But don’t think that the M15 sounds in any way rough, though, the A1.5 is just extremely precise and refined. In terms of soundstaging, in all planes, I hear no meaningful differences, both amps can sound well-focused and room-filling. Although the M15 is definitely smoother and richer in the midrange than the CH, when judged on its own, I find the amp to be very transparent and linear and to sound essentially neutral. Precisely what makes it sound so rich I don’t know but it definitely does not strike me as a kind of coloration. A little bit relaxed overall, yes, but it is definitely not slow and certainly not thick or smoothed over. Some amplifiers with a similarly smooth sound lose pacing and/or verge toward the overly smooth and creamy and in the process, they can lose track of the musical message but that does not happen here. 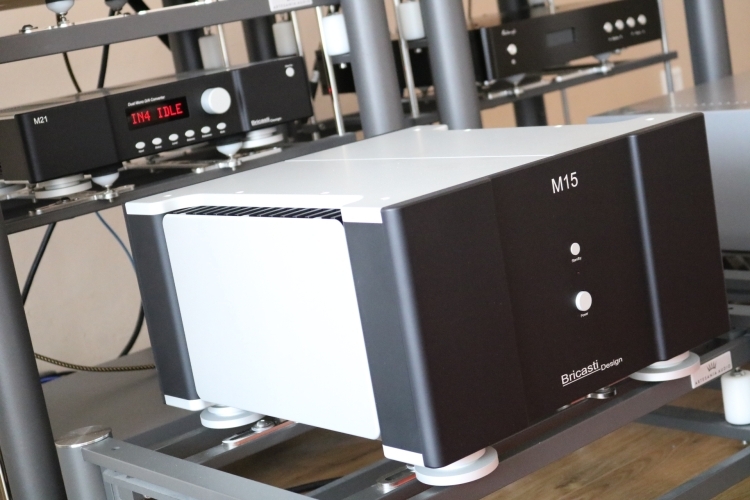 In fact, even though the M15 has a full tonality, it is also fast-paced, dynamic, pure and very transparent. I like my bass to be very articulate. This stems from my focus on melodies in the bass more so than vocals or the melodies played by the main instruments. I’m a Grundton-Mensch, so to say. Ideally, I’d like to have super-tight bass as well as a relaxed, free-flowing and gloriously harmonically rich midrange (the kind that only tubes seem able to provide) but that extreme combination seems impossible to achieve. 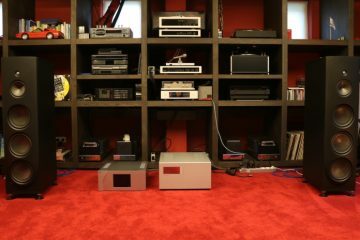 For that reason, I have two main amplifiers: the CH A1.5 for the tightest, most linear and most refined delivery and the Ayon Spirit III KT150 tube amp, which is less linear and less refined but has that tube magic, coupled to dynamics and bass power quite uncommon for a tube amplifier. In practice, I swap between these two amps depending on my mood and on the components that are under review at any time. Transistors and tubes have very different qualities and, if you ask me, they will never sound the same. They just serve different purposes. However, both product types are getting better and better. 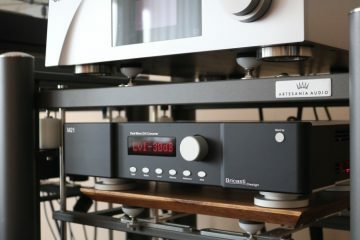 Tubes are becoming ever more powerful and especially the KT150’s are extremely linear. 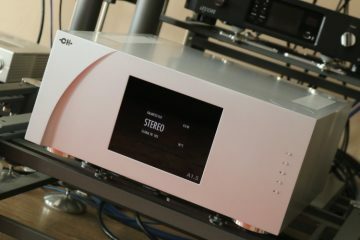 The Ayon Spirit III can’t match the A1.5 in terms of transparency and precision but it has a delivery that is bold, dynamic, and powerful with just enough bass precision while majoring on that elusive quality in the midrange that makes music listening more involving than with typical transistor products. Note that I am not talking about coloration and definitely not about a euphonic warmth. Rather, I refer to a kind of realness that can’t really be put into words but is easy to recognize. The A1.5 matches well with the harmonically rich Carmens, but in an absolute sense, it definitely has less of this quality. Some even find it a bit cool and in some circumstances, I can understand that. 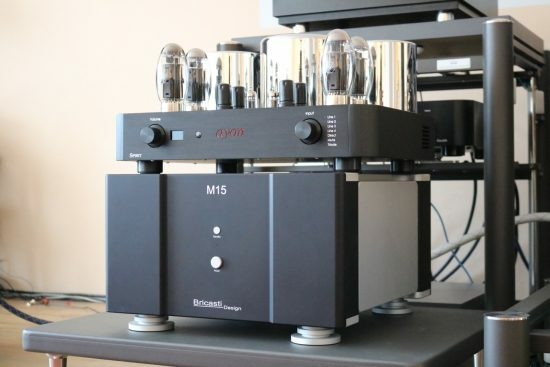 Just like the A1.5, the Bricasti M15 does not sound like a tube amp but, in terms of midrange presentation, the liquidity and harmonic richness, it comes closer to the Ayon than the A1.5. It’s this aspect that makes me think that the amp’s unforced yet detailed delivery will likely fit well in a wide range of systems. 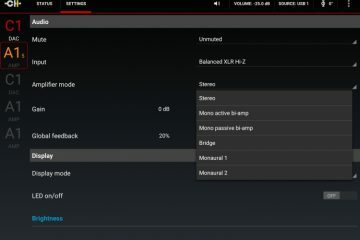 Specifically, I think that it will absolutely work magic with loudspeakers that are themselves more like the CH A1.5, such as Magicos, as we will find out further below. But wait, the M15 does not have those Stillpoint feet hanging under it for no reason and so I added a thick MDF board, coupled via Artesania Neoprene pads to the Aire’s outer frame and placed the M15 on top, using its own feet. This way, the amp does indeed gain more urgency. The amp’s overall delivery this way is slightly tighter, the bass profiting most by becoming more substantial and more punchy. The amp’s overall character is not altered much: it is still smooth and still relaxed but perhaps ever so slightly less so than before. Set up this way, the support still adds a bit of sonority to the sound. 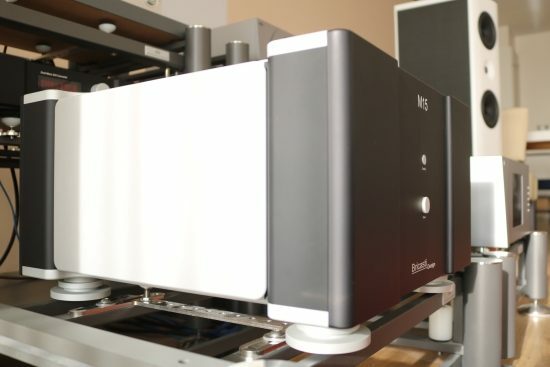 Further tightening the support by using the Artesania Digital Server Platform yielded further benefits, the M15 becoming even more transparent and indeed a little bit more articulate, still, without changing its organic delivery. And even when set up this way, the M15 does not become as tight and articulate as the A1.5 but I don’t think that it is meant to be either. This amp is made for relaxation, not for analysis.